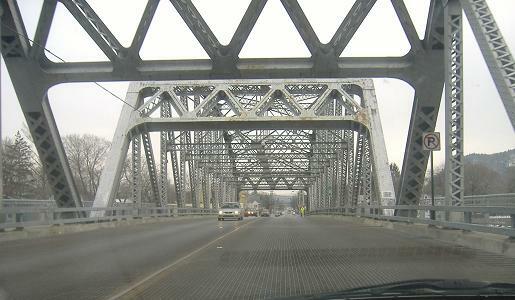 US 6 WB and US 209 SB ride together into Pennsylvania over this old steel deck bridge. 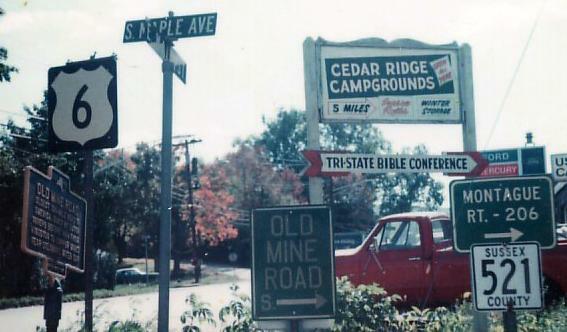 The other direction in 1972, courtesy Michael Summa. 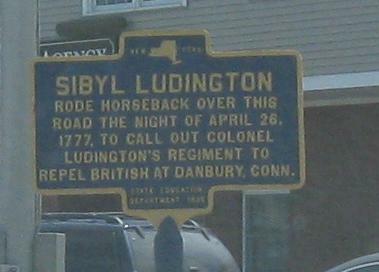 Two changes from then to now: the city name signs are gone, as is button copy. WB/SB underneath first Front Street and then (obviously) the former Erie Railroad, in Port Jervis. The reason the railroad overpass is so long is that the rail yard just to the northwest used to be even more sizable, and sent several more tracks over Pike Street (US 6/209) than it does now. 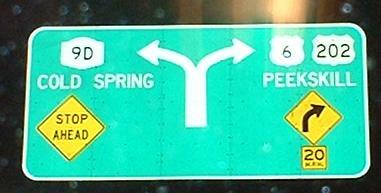 Notice that the sign on the overpass neglects US 6 for no good reason. 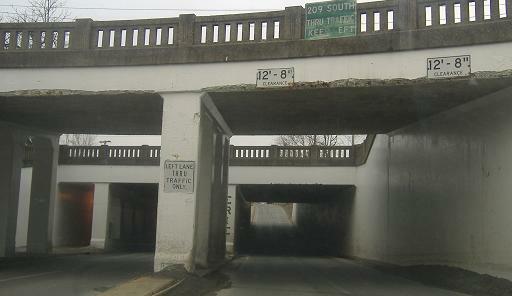 EB at the same underpass in 2012, after the WB overhead LGS was removed. 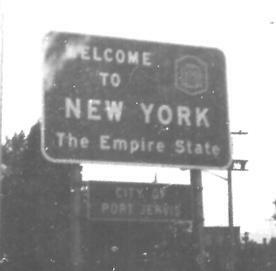 Like the other black and white photo, EB/NB in 1972 courtesy Michael Summa. 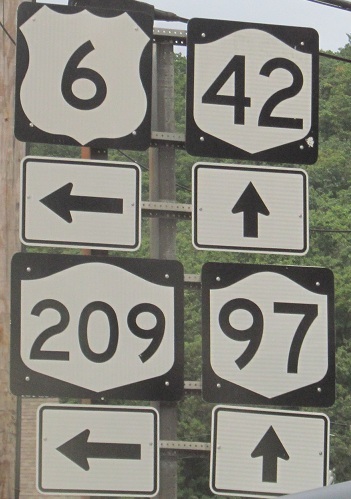 The strange US 209 shields are clearly from one certain time period, maybe the late 1960's after the "US" dropped out of the shield. 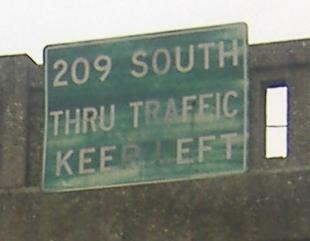 In modern times, there are still no directional banners for these EB and WB (respectively) signs, and now US 209 has been demoted. 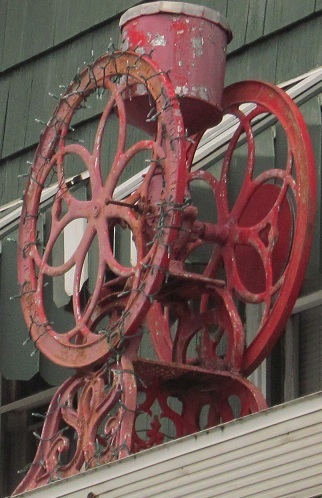 The red... thing is on a house's first-story roof (not even a balcony) on the NE corner of the intersection. Whatever it's for, it makes a nice light tree. US 6 WB at Fowler Street and US 209 North; the SB/WB duplex from the above photos begins just ahead, leading to the other duplex, NY 42/97 (which begin together for no great reason). 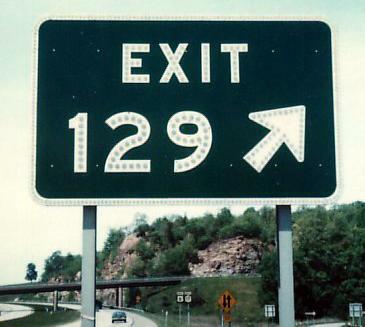 This skips the US 209 duplex, which I moved to that page (linked at bottom). 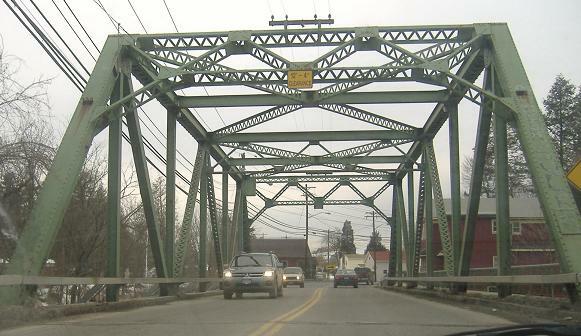 Old street sign followed by old bridge WB in Port Jervis, with the former in the background of the photo of the latter. 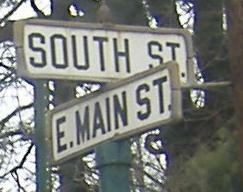 CR 16 NB, the continuation of CR 521 from New Jersey. 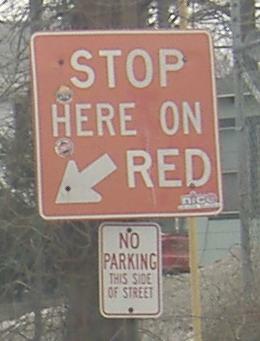 The other ones at this intersection and the next one to the east are all newer and shiny, but still white on red. EB courtesy Michael Summa. 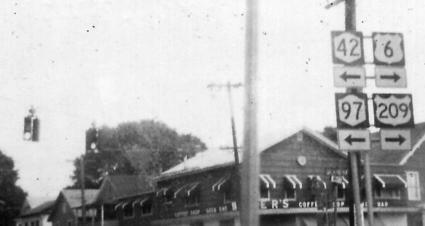 In the 1970's even Sussex County still had the white squares around; the two signs on that post were sold or donated by the county, and while all the white squares are gone, the little green signs still abound. You won't see any more Old Mine Road trailblazers, because much of the road has been closed due to neglect. 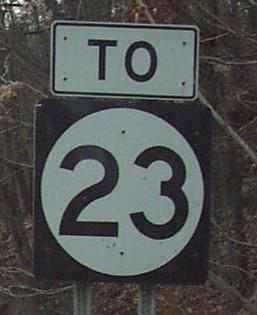 EB and WB at the beginning of short Orange County Route 15, which as the sign promises will become NJ 23. Hey NY, it can't be that hard to make a non-cutout circle! The old look of the WB assembly in 1972, courtesy Michael Summa. 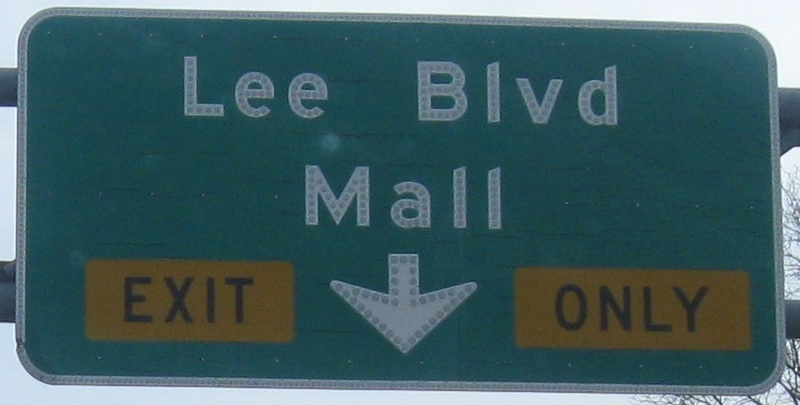 It's the Vermont approach to signing other states' routes - no matter what shield you use, even if it's the right one, include the state initials anyway. 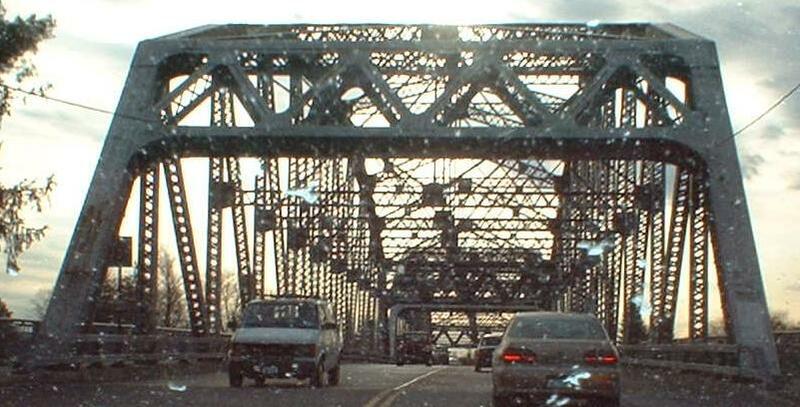 CR 15 southbound, not even 50 feet from the border, actual NJ 23, and a NJDOT reassurance shield. Why bother? 1976 photos of the NY 17/US 6 duplex, courtesy Michael Summa; first photo WB and other two EB. 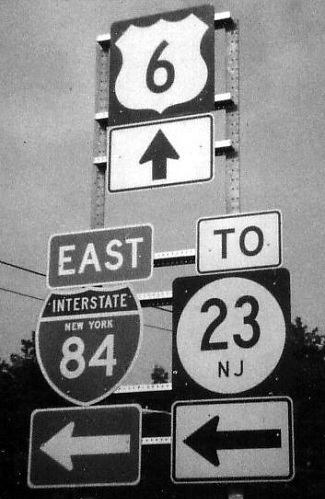 US 6 now leaves at Exit 130A, clearly constructed sometime after 1976. 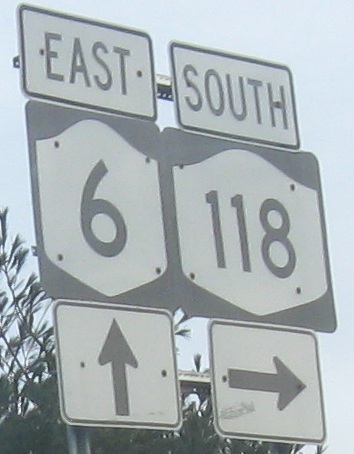 EB just past the end of the NY 17 (future I-86) freeway at I-87, US 6 rides the Long Mountain Parkway a few miles on the way to the Palisades Interstate Parkway, and ultimately the Bear Mountain Bridge. 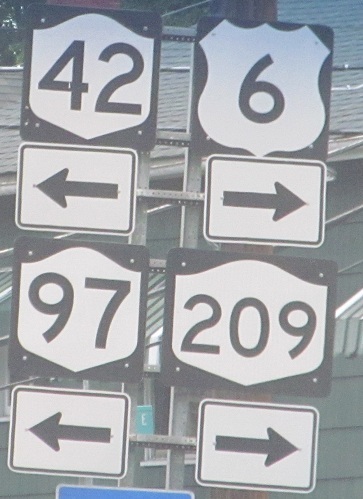 NY 293 is the cutoff to US 9W NB several miles to the north. Across the Bear Mountain Bridge (that's not Bear Mountain, that's Anthony's Nose, and he'd like you to Stop Staring), and then looking south in the Hudson River Valley. 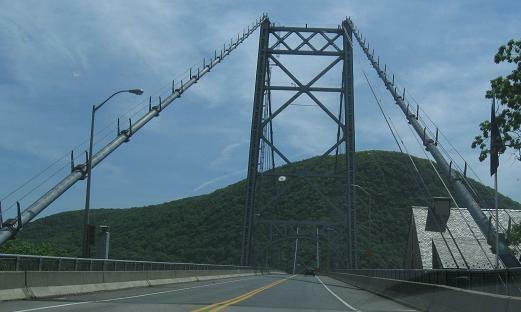 The BGS at the eastern end of the Bear Mountain Bridge; left-turning traffic faces a stop sign at WB US 6/US 202, but through traffic is free to start climbing the mountain, pressed tightly against a stone guiderail. Rotating from north to south at the scenic turnout on the side of Anthony's Nose, which thankfully has never blown. 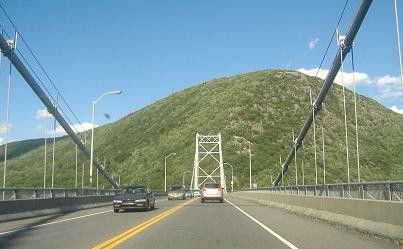 One of the mountains on the west side of the river is Bear Mountain, probably the one to the right of the second photo. 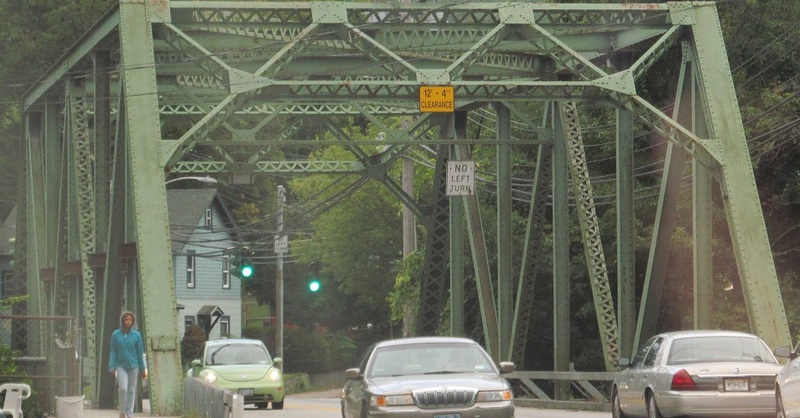 The last photo is a little further inland, and is the original tollhouse for the Bear Mountain Bridge. E-ZPass, it ain't. 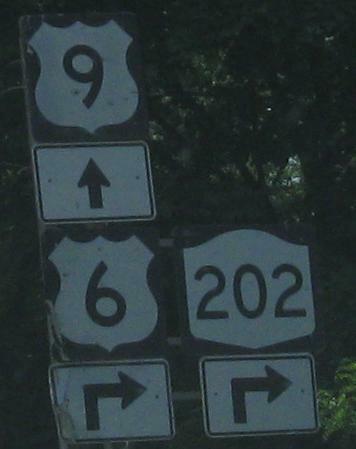 Signage at the second of US 6/US 202's two rotaries; the Bear Mountain Parkway is a shortcut for US 202, at which it ends just short of actually reaching the Taconic. 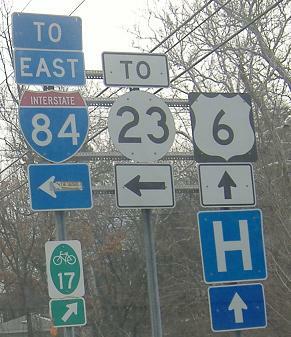 US 6 never heads N-S, except in California. 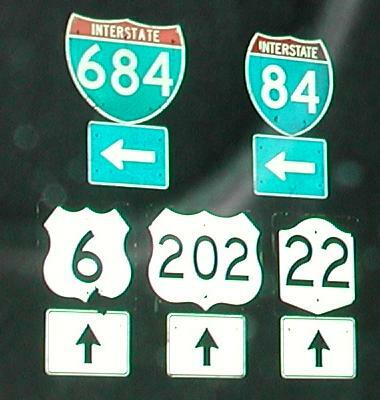 US 202 keeps switching direction so often that I'm not surprised to see it signed two ways in the same state (the second one is correct, though). 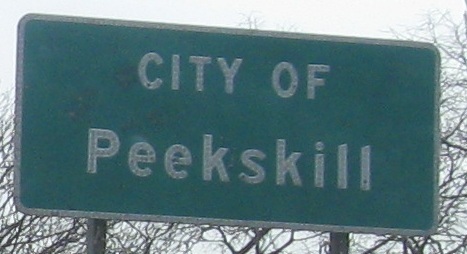 Button-copy sign entering Peekskill on US 9 SB/US 6-202 EB, and then US 6 and 202 leave at a NY error shield. Just after the Taconic interchange with US 6 is this old BGS on 6 EB - US 6 has a bunch of lanes here, but eventually dwindles back down to two. No, this is still a US highway. I mean it. Really. I swear. 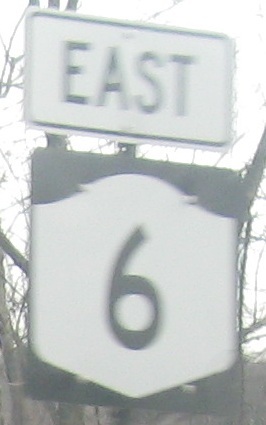 NY 6N EB ending at US 6. Both photos courtesy Matt Kleiman.